The Samsung CLX-3170 is a color multifunction laser printer built with compactness in mind, featuring a small footprint and the ability to print, scan, fax, and copy within that relatively small package. However, the CLX-3170 does suffer from slow print speeds and several other qualities that make it far better suited for personal than professional use. 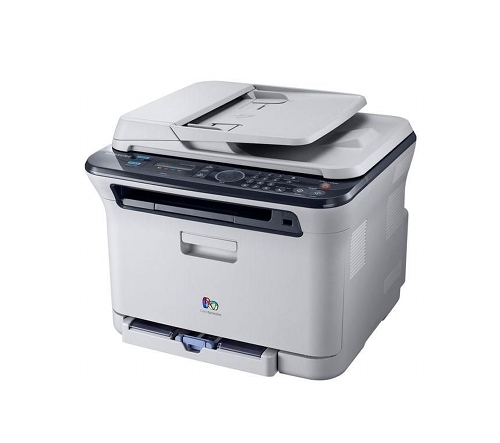 The CLX-3170 measures 16.3" by 14.7" by 13.5" and weighs 33.5 lbs, well under most industrial and professional laser printers. Because it features such a small footprint, the printer can fit easily on a desk alongside other equipment, but it can be placed just as easily, if not unnecessarily, on a credenza or its own table. 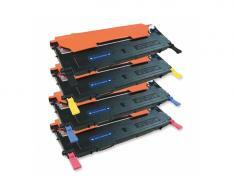 The CLX-3170 produces documents at speeds of 16 pages per minute in black and 4 pages per minute in color. First pages are out in 14 seconds when printing in black and 26 seconds in color. Documents print at a maximum resolution of 2400 by 600 dpi. The printer has an input feed capacity of 150 pages standard and a 100-sheet output feed capacity, as well as the ability to print on cards, transparencies, stickers, glossy photo paper, envelopes, and matte photo paper. The CLX-3170 features a monochrome LCD from which one can configure settings. 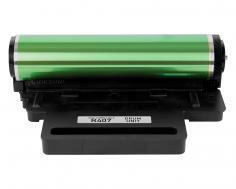 The included scanner can function either as a flatbed or a sheetfed scanner and processes A4 documents. It offers scanning at an optical resolution of 1200 by 1200 dpi or an enhanced resolution of 4800 by 4800 dpi, as well as a zoom range between 25% and 400% that moves in 1% increments and support for TWAIN and WIA. The included copier produces copies at 600 by 600 dpi in both black and color and offers a maximum number of 99 copies at a time. It also offers scan-to-USB and scan-to-email if needed. The included fax system can store up to 320 pages in memory. It includes a 33.6 kbps modem, color fax support, and a maximum resolution of 300 by 160, uncommon amongst other fax units. The unit includes 128MB of memory, which cannot be expanded. The printer includes a USB 2.0 port, but no cable is included with the printer, requiring the purchase of one before it can be used. Ethernet support can be added if necessary, or can be purchased in a base model in the Samsung CLX-3170N. The printer's speeds of 16 and 4 pages per minute, in black and color respectively, are well below what's offered by many newer consumer printers as well as industrial laser printers, where the standard several years ago was at least twenty pages per minute. Environments that focus on color printing will likely want to pursue a different color laser or a photo-quality inkjet to get either faster or higher-quality prints. The printer has a low input capacity with no options for expandability, requiring constant maintenance to refill the printer after large jobs. As a consequence, this printer/copier is likely not qualified for an environment that regularly prints large documents. The advanced paper-finishing options offered by industrial printing systems are completely and totally unavailable here. Duplex printing has to be done manually and stapling, hole punching, and other additions are not offered in any capacity and cannot be installed as add-ons. Network support can be added by installing an Ethernet port, but that's the only thing available. Review it: "Samsung CLX-3170 "
The CLX-3170 has four toner cartridges that require replacement and ships with four starter cartridges rated at 1000 pages at 5% coverage for black and 700 pages at 5% coverage per color. The black cartridge requires replacement at every 1500 pages at approximately 5% coverage, while all three color cartridges -- cyan, magenta, and yellow -- are rated at 1000 pages at approximately 5% coverage. The printer's imaging unit requires replacement at approximately every 24000 pages in black and every 6000 color pages, and the printer's waste toner container will require replacement at approximately 10000 pages in black and 2500 pages in color.